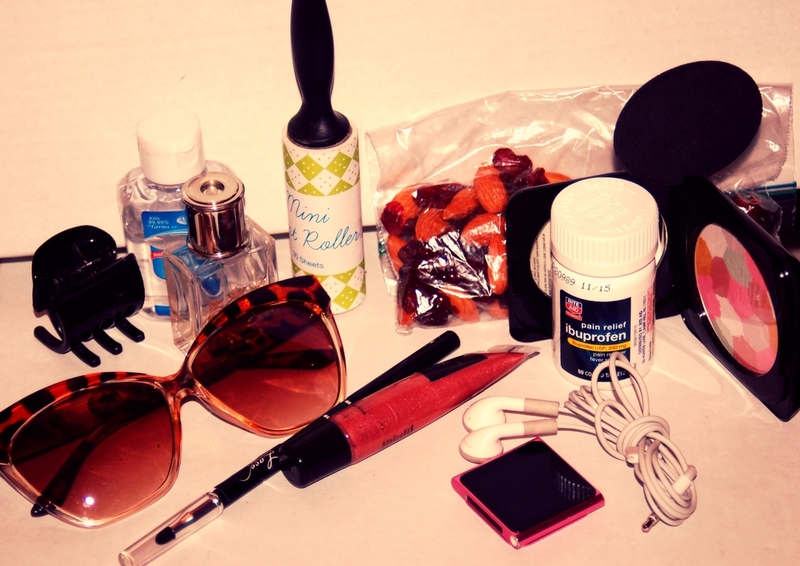 Every girl has her signature items that she keeps in her purse. Most days I am out and about from early morning until late at night and sometimes never know where the day will take me. Since I am always on the go, I have make sure that I have what I need for any situation. Here is a look inside my "bag of tricks" and what I always keep on hand. Snack- When I'm working, I don't have time to stop for meals. To stay fueled up, I keep nuts, granola, raisins, grapes and other healthy snacks with me. No fast food for this girl. Setting Powder- If you are oily like me, you have to keep a great setting powder in your purse. I use Lace Cosmetics Afterglow Starburst Powder to absorb oil and give me a soft pink glow at the same time. Sounds like you're putting on what you just took off but that is not the case with this luxe powder. Eye Liner- With a good eye liner, you can go from day to night. I like to sweep it over my lash line for a daytime look and then smudge it up my lid and under the eye for a sultry night time effect for when I go out. In my makeup bag, I keep Lace Cosmetics Perfect Grey Automatic Pencil so that I can achieve these looks. Lip Gloss- Whether you want to be soft and natural or make a bold statement, you should always have some color on your lip. If can be completely neutral or and intense red. Regardless, always keep that perfect color in your purse. Lipstick and Lip Gloss will fade no matter what throughout the day and you need to be able to reapply. 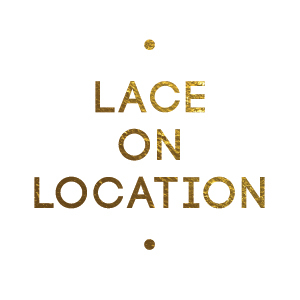 I keep the Lace Cosmetics Lip Gloss Tube in Buttered Rum in my purse. I can dress it up or down and even when the shine wears off, I still keep all of the color. iPod- Good music can save even the wort days. I always have my iPod and earbuds in my purse for any occasion. Shopping, walking, thinking...it's always there with a great playlist ready to go! Sunglasses- A good pair of sunnies are an absolute must. You should wear sunglasses from sunrise to sunset and even on cloudy days. The skin under your eyes is the thinnest piece of skin on your body and is the first place to show aging. If you are exposing your eyes to the suns rays or squinting, you are accelerating the aging process and we cannot have that. Hand Sanitizer- shaking hands, pumping gas, railings, handles...sanitizer is a MUST! Hair Clip- Having bad hair days is just a part of life. I am prepared for it. Perfume- I love mini perfume bottle because they are compact and easy to throw in my makeup bag. For the winter I have Juicy Couture and I like to make sure I have a little on at all times. The right fragrance is just as important as wearing your accessories. Lint Roller- lint, dog hair, crumbs, WHATEVER! I keep this mini roller in my makeup bag and it always comes in handy. Ibuprofen- I don't need a headache slowing me down. I always keep a stash of ibuprofen in my purse just in case.